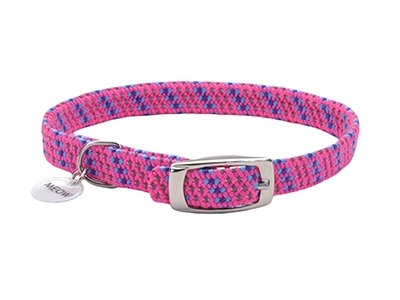 Coastal Pets added five new patterns to the ElastaCat Reflective Safety Stretch Collar line. These collars feature a comfortable, durable and adjustable design that aims to keep cats safe and comfortable. Featuring a unique stretchable material, this line of collars is made to expand, stretch and release if the cat becomes entangled. The collar, fully adjustable up to 10 in., features a buckle that allows it to be secured at any length. The reflective strands woven into the collar and the reflective pendant charm add bonus safety.